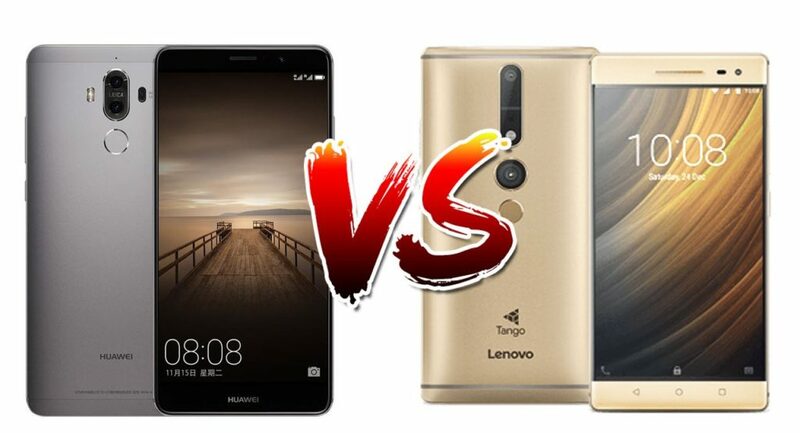 Lenovo Phab 2 Pro vs Huawei Mate 9 Specifications ,Release Date ,Price ,features ,camera ,screen size ,fingerprint ,RAM ,Battery and price comparison reviews ,Best camera smartphones 2017 which is better for buy compare with Lenovo Phab 2 Pro Google tango smartphone and Huawei Mate 9 unlocked smartphone US which should you buy? 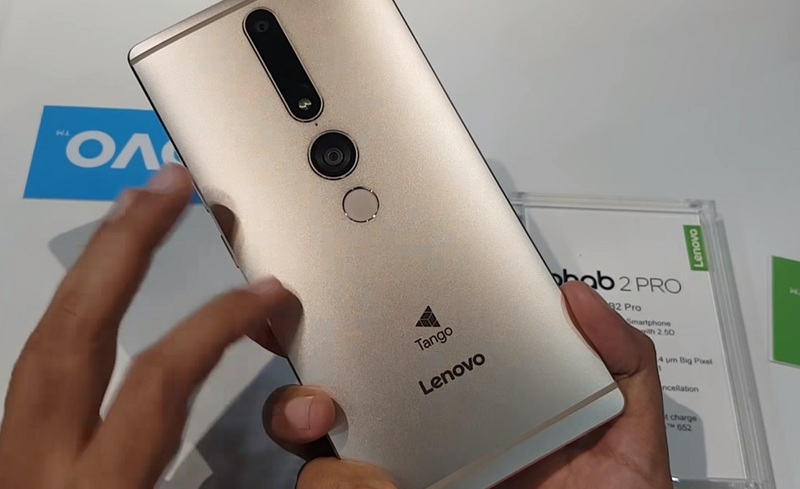 How both smartphone different from each others comparison between lenovo phab 2 pro google tango enabled 4GB RAM 64GB and 16MP camera with PDAF, Depth Sensor for Tango with huawei mate 9 with 20MP (Monochrome) + 12MP (RGB) Dual rear cameras 4GB RAM 64GB storage unlocked phone so before buy you should must compare specs and best buy available price in Amazon USA ,UK ,Australia,Japan,Canada and for India. Build Made of Google tango enabled aluminum alloy unibody body design. Made of full metal aluminum alloy unibody design. Display 6.4-inch (2560 × 1440 pixels) Quad HD 2.5D Curved Gorilla Glass display (~459 ppi). 5.9-inch (1920 x 1080 pixels) Full HD 2.5D curved glass display, 96% NTSC Color Gamut, 373 ppi. Protection Fingerprint scanner allows for in-app payment on Google Play. Fast Fingerprint Sensor on back and Gorilla Glass 3 for screen protection. Camera Rear 16MP camera with PDAF, Depth Sensor for Tango, Motion Tracking Sensor for Tango 4k video recording. 20MP (Monochrome) + 12MP (RGB) Dual rear cameras with Leica lenses, f/2.2 aperture, dual-tone LED flash, PDAF, CAF, Laser AF, OIS, 4K video recording. Camera Front 8MP front-facing camera, f/2.2 aperture, 1.4μm pixel size. 8MP front-facing camera, f/1.9 aperture. SIM Hybrid dual SIM (nano+nano/microSD). Hybrid Dual SIM (nano + nano/microSD) 4G LTE VoLTE. Processor 64-bit, Snapdragon 652 processor,Quad 1.8GHz optimized for Tango. 64-bit, Kirin 960, Octa-core CPU (4 x 2.4 GHz A73+ 4 x 1.8 GHz A53) + i6 co-processor, Mali-G71 MP8. Storage 64GB Internal, 128GB expandable card on microSD. 64GB Internal storage,256GB expandable card on microSD. OS Android 6.0 (Marshmallow). Android 7.0 (Nougat) with EMUI 5.0. Sound Dolby Atmos sound with 5.1 audio capture, Triple Array Microphones with Active Noise-Cancellation, 3.5mm jack , FM Radio. Stereo speakers,3.5mm jack , FM Radio. Connectivity 4G VoLTE, WiFi 802.11ac (2.4 GHz and 5 GHz), Bluetooth 4.0, GPS. 4G VoLTE, WiFi 802.11ac (2.4GHz/5GHz), Bluetooth 4.2 LE, GPS, NFC,OTG Support. Price in India 4GB, 64GB of Rs.27990 4GB 64GB of Rs.51605. Price in UK £499 £636.